I love renaissance style. But i Don't like white wedding gowns. My wedding dress was red colour with silver ribbons and made by a designer. It looked stunning and classic. I get married in December this year. This is my dress, Lia by Catherine Deane. I love wearing gowns. I want to wear a gown on my brother marriage but I do not know which type of gown should I wear. 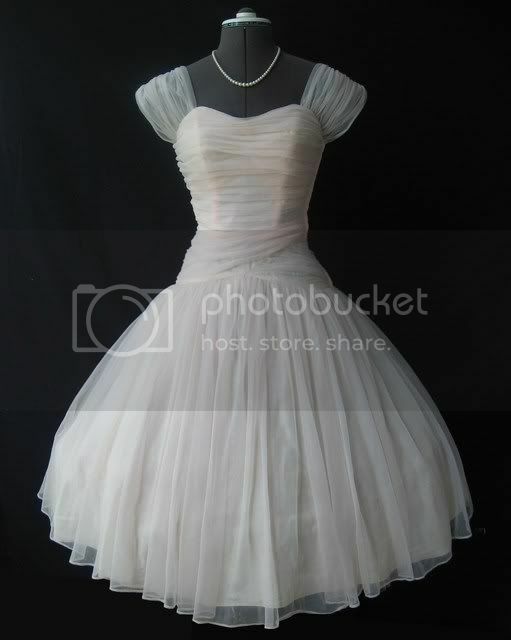 love your post well,i am a wedding hot fan and like to collect all style wedding dress styles &pics.eapecially this vintage style. I like all the dresses you posted mostly the second one. It looks pretty cool. I wanted to be diffrent. I wanted long sheer sleeves, to have the classic look of brides from years ago. Right now those dresses are not popular at all. The one that I did find was beyond expensive. I tried all of the other diffrent styles and didn't really like any of them. I ended up with a strapless mermaid wedding dresses that has a long sleeve sheer jacket, the jacket was what made me choose the dress. I think the halter's are more comfortable and modest but the halter made my back and arms look huge. Try both on and you'll see which one you like the best. OMG....it's so beautiful...I love it . There are so many different wedding dresses on the market today. I am a huge fan of white dresses that are long. I also think that adding a bit of color to them is a neat idea. It adds a new found freshness to todays styles. But I adore wedding gowns and looking at all the different styles and I was wondering where everyone stands on that? Do you like the contemporary styles, the classic poofy style or something else? I'm not 100% on which I prefer as there's three I really like. Awesome collection, Some gorgeous, very pretty dresses, I Absolutely loved the white color dress. I love wedding gowns!! More traditional than modern.. Of the couple I've worn a friends beaded one was amazing.. And heavy!! Yeah, mine too..... While wearing wedding gown, everyone looks beautiful. Wedding is one very big occassion in every girl's life and that's why wedding shopping is the most important thing for Bride.When all the world looking at India , Why not You try to wear an Indian ethnic wear like Lehenga Choli. The top most thing that counts in the Indian bride wedding shopping list includes Indian Bridal wear i.e. Bridal Lehenga Choli. These days girls look out for designer bridal lehenga choli and that's they prefer doing designer bridal lehenga online shopping as here they find lots of variety as well as the latest Indian bridal lehenga like mermaid bridal lehenga, alia bhatt lehenga in radha song, bridal wedding lehenga, Indian bridal wedding lehenga, A-line wedding bridal lehenga choli, designer bridal lehenga choli, lehenga choli for bride, lehenga choli for wedding.